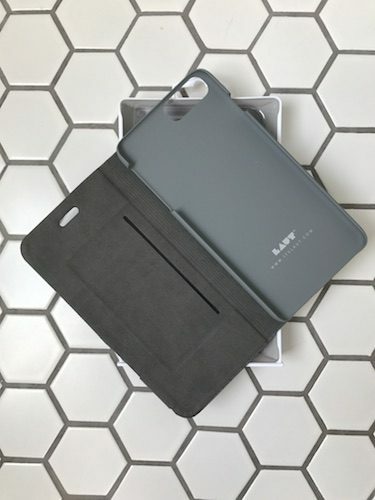 Prices are $20 to $30 U.S.
Laut is an impressive case company that provides variety of differently designed cases for a variety of uses. Laut offers at least four distinctly different case protections for whatever your iPhone requires. These different protections consist of durability and usefulness. The cases I received for review from Laut are the the Nomad, Pop, Hue elements, Lume, and Apex Knit series for the iPhone 7 Plus. Each case comes standard with 2x screen protectors and a microfiber cloth. To the untrained eye, there isn’t much different between these cases’ functionality, besides the Apex Knix case. The Apex Knit case consists of a premium fabric knit with a folding stand that works as a cover and a card holder for two of your debit/credit or ID cards. The Apex Knit case holds the iPhone 7 Plus firmly in a plastic shield and then surrounded by the Apex Knit fabric. The wallet function is unique. 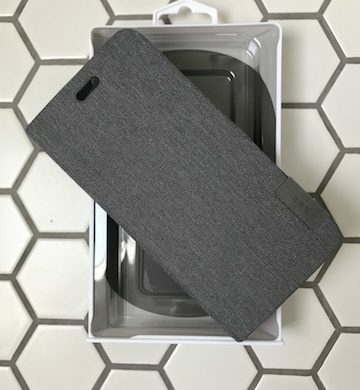 There is a card slot directly located in the main flap, and also there is a secret card slot that sits between the back of the iPhone case holder and the Apex Knix. I like to keep my drivers license in there for my own protection. The Nomad series cases are extremely nice. The case is attractive from its cityscapes, and its durability and use for protection is impressive. The case is made of durable TPU and also a solid dual layer piece of hard plastic. The hard plastic backing is a 3D scape of your city of choice (Japan, Taipei, Paris, New York, London, Berlin). The roadway text layer beneath the graphic on the hardplastic gives it a parallax effect. The Pop cases are identical to the Nomad cases in terms of durability and build quality. The Pop series case offers the same hard plastic design without the 3D graphic effects. The themes offered for the Pop cases are very drastic and creative. The Lume case is as simple of a case as one can get. It deliers full coverage for all areas of the device, and leaves a nice lip for the front screen to rest on while being extremely thin and also crystal clear. The case is completely TPU and along the backside of the case is a minor texture to give it a premium feel. 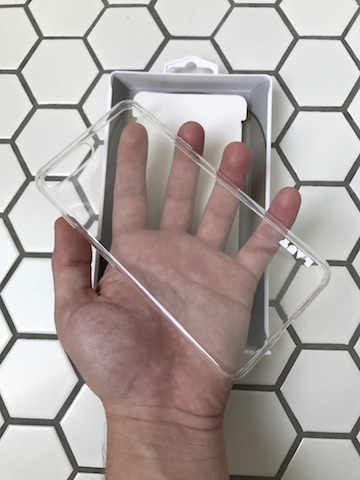 The case comes in ultra clear, and ultra black. The Hue elements case is a quick and easy solution for lasting protection. It’s not as structured and durable as the Nomad and Pop series cases, but it is still built with the same quality material, and not as thick. The unique part about this case is its high quality transfer graphic along the entire backside of the case. 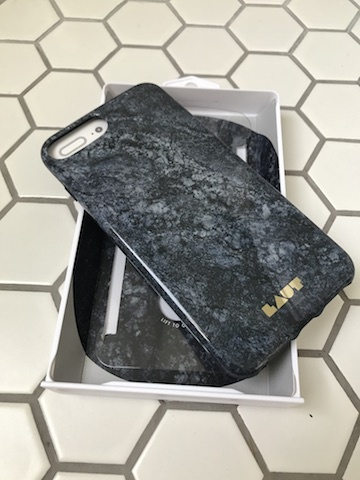 Laut offers a marble textures graphic in black, pink, emerald, and blue. Overall I enjoy and use the products made by Laut. 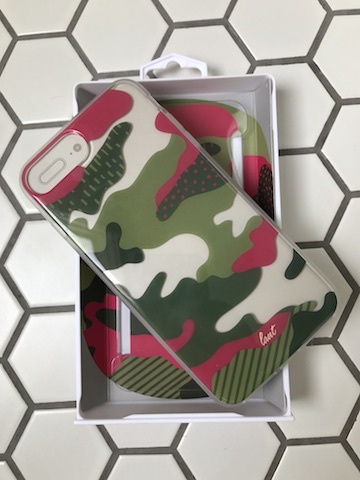 The cases allow for a variety of users to choose whatever protection necessary or whatever style necessary for their occasion. MyMac Review Rating is 8 out of 10 over all for these affordable iPhone cases.